This new ocean view home offers three bedrooms, multiple ocean view decks, a fenced back yard, and all new everything inside! 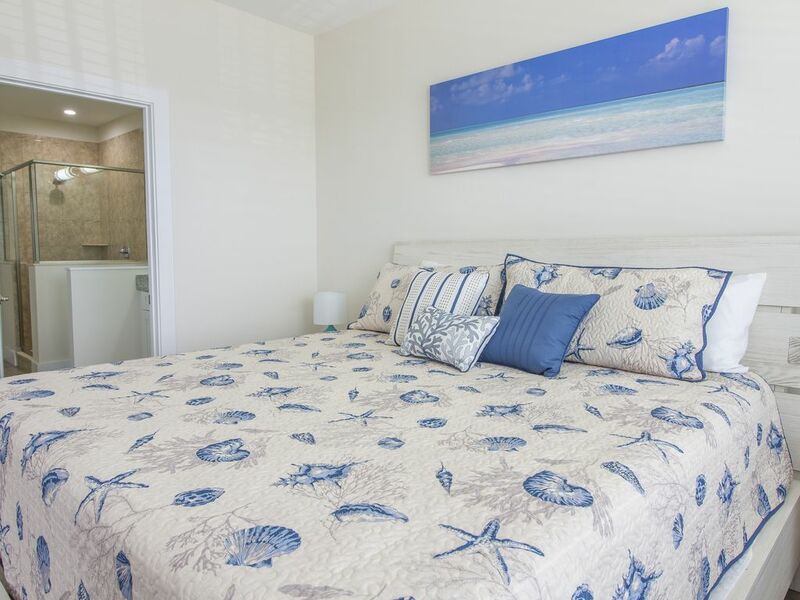 Ceiling fans and TV's in all of the bedrooms,new appliances in a kitchen built for entertaining, and easy access to everything Saint Augustine has to offer! Whether you come to stay for a week, or for a month or more, there is planty of storage and living space as well. The spacious living and dining areas as well as the kitchen are on the third floor, offering incredible sunrises in the morning, and cool ocean breezes in the evenings. Whether you want to relax with a cool drink on the deck, or enjoy a movie with the is the space for you! The home also offers a washer/dryer, DVD players, Cable Tv, Wi-Fi, and plenty of parking as well. Home is just a short drive to the Historic District and a five minute walk to the beach! Small dog possible upon approval, prior to booking.